News Journal: Number 33, November 9, 2010: Tea Party Movement Expects Republican Party To Balance The Budget By Cutting Spending Now! Economics 101 – It’s Simple to Balance The Budget Without Higher Taxes! The tea party movement is expecting the Republican Party to balance the Fiscal Year 2011 and 2012 budgets or face the consequences or fate in 2012 of the big spending Democrats in this past election. Instead the Republican Party is talking about a Fiscal Year 2008 level of total outlays of about $3 trillion dollars. 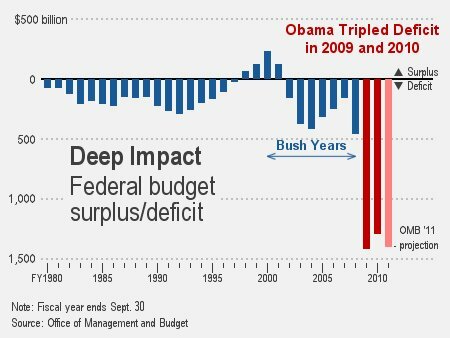 This is definitely an improvement over President Obama’s estimated budget deficits exceeding over $1,000 billion in FY 2010 and FY 2011. However, it still would not come close to balancing the budget in FY 2011 where tax revenues are expected to be about $2,567 billion. Unfortunately the deficit would be about $400 billion for the total combined on-budget and off-budget. The total estimated tax revenues for FY 2011 and FY 2012 are $2,567 billion and $2,926 billion respectively for the combined on-budget and off-budget. The total estimated outlays for FY 2011 and FY 2012 are $3,834 billion and $3,755 billion respectively for the combined on-budget and off-budget. The total estimated deficits for FY 2011 and FY 2012 are $1,267 billion and $828 billion respectively for combined on-budget and off-budget. To balance the combined on-budget and off-budget the FY 2011 outlays would need to about the level of Fiscal Year 2005 of $2,472 billion. To balance the combined on-budget and off-budget the FY 2012 outlays would need to about the level of Fiscal Year 2008 of $2,983 billion. 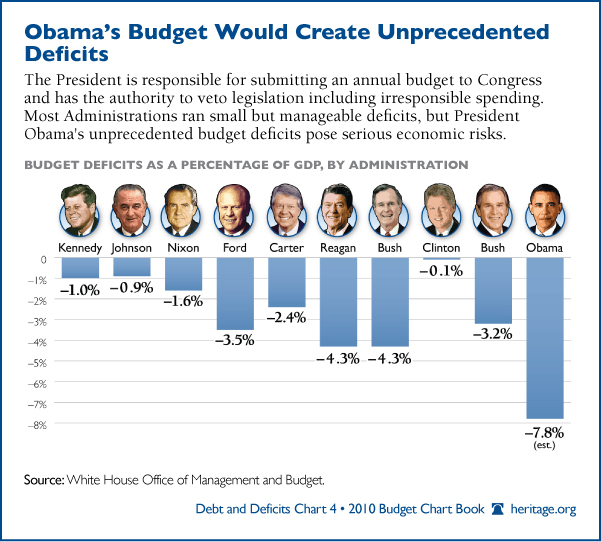 Either balance the budget or face the consequences in 2012. Start shutting down entire Federal Departments, agencies and programs. Pass the FairTax and limit future outlays or expenditures for the total on-budget and off-budget to 80% of previous year’s tax revenue from the FairTax. The remaining 20% of FairTax revenues would go to pay down the debt. Time for some real change and hope. Stop spending our future and balance the budget. “…The economic situation in 1920 was grim. By that year unemployment had jumped from 4 percent to nearly 12 percent, and GNP declined 17 percent. No wonder, then, that Secretary of Commerce Herbert Hoover – falsely characterized as a supporter of laissez-faire economics – urged President Harding to consider an array of interventions to turn the economy around. Hoover was ignored. Instead of “fiscal stimulus,” Harding cut the government’s budget nearly in half between 1920 and 1922. The rest of Harding’s approach was equally laissez-faire. Tax rates were slashed for all income groups. 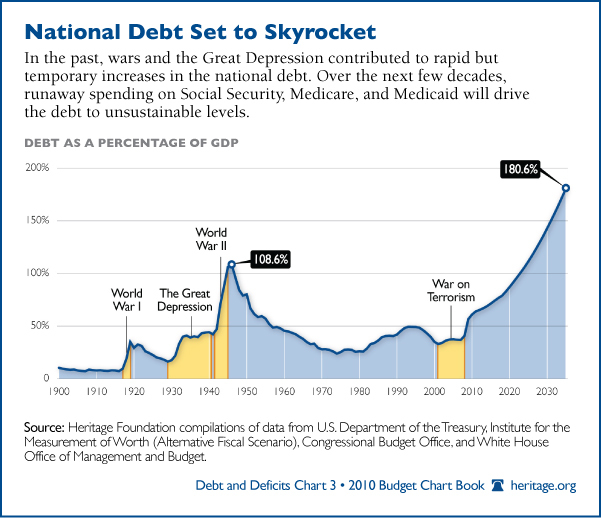 The national debt was reduced by one-third. The Federal Reserve’s activity, moreover, was hardly noticeable. As one economic historian puts it, “Despite the severity of the contraction, the Fed did not move to use its powers to turn the money supply around and fight the contraction.”2 By the late summer of 1921, signs of recovery were already visible. The following year, unemployment was back down to 6.7 percent and was only 2.4 percent by 1923. 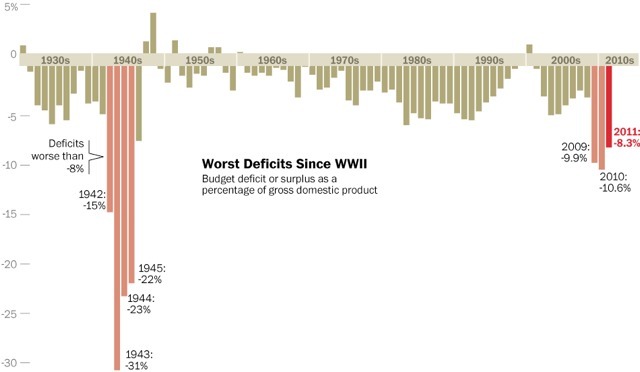 Historical Tables provides data on budget receipts, outlays, surpluses or deficits, Federal debt, and Federal employment over an extended time period, generally from 1940 or earlier to 2011 or 2015.
understood, the tax policy mistakes are less appreciated. Can GOP Shrink Government Spending? Ron Paul in San Francisco – Amazing Speech!